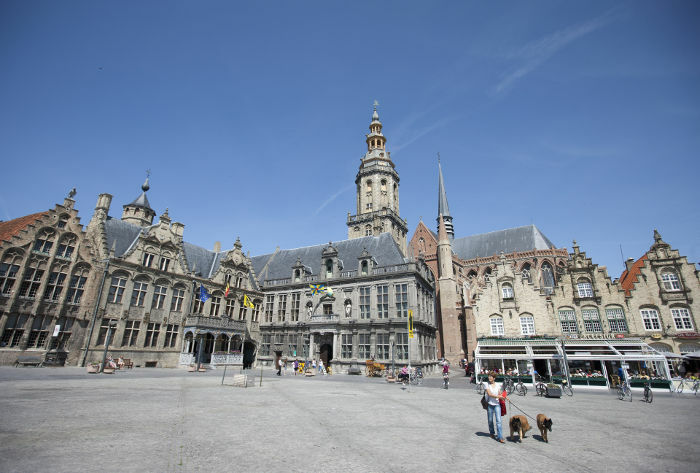 Discover the history of the Great War in the northern Westhoek. Here, by the river Yser, Belgian soldiers, with the support of the French and British, brought the advancing German forces to a halt. 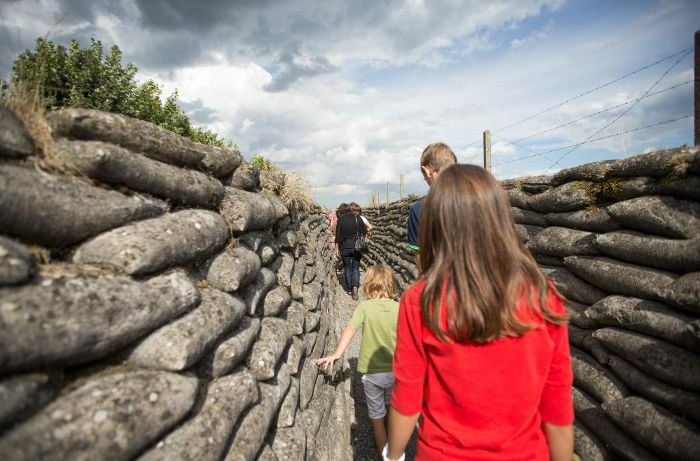 Six contemporary museums and visitor centres all situated along the original frontline, show how soldiers, civilians and their environment were affected by the Great War. 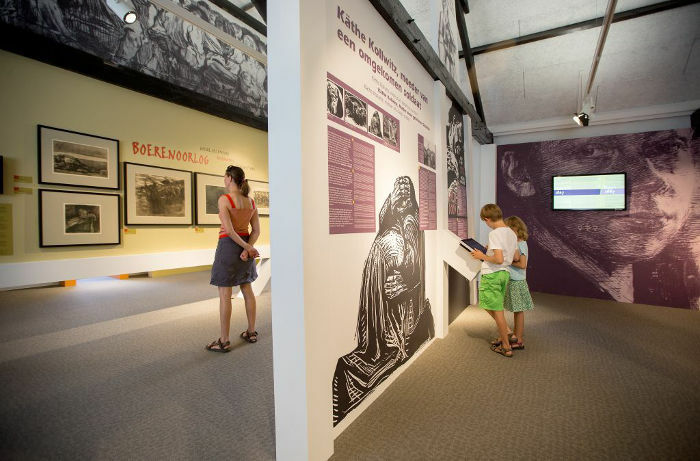 Displays are interactive and evoke the atmosphere of the time. Stay up to date with news and activities! 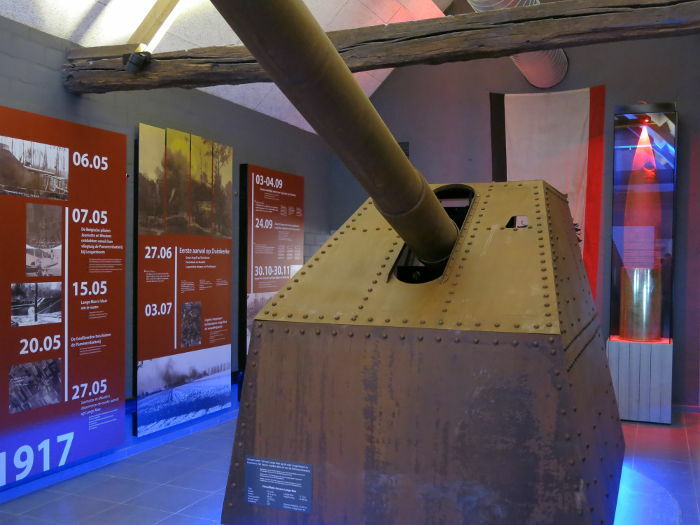 Thé museum that highlights the German side of the front, with the central topic the huge cannon that shot at Dunkirk and Ypres. Get to know the military organization and the daily life of the German troops. Walk at least until the giant artillery platform of the former biggest gun of the world. 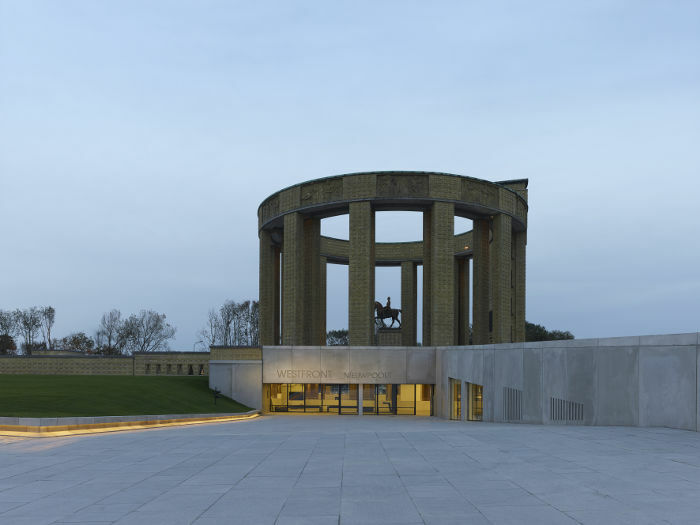 Discover along the Yser Front also other sites and relics, such as the Onze-Lieve-Vrouwehoekje, the de Petroleumtanks, the petroleum tanks, the Groignebunker or the Peace mill in Klerken. 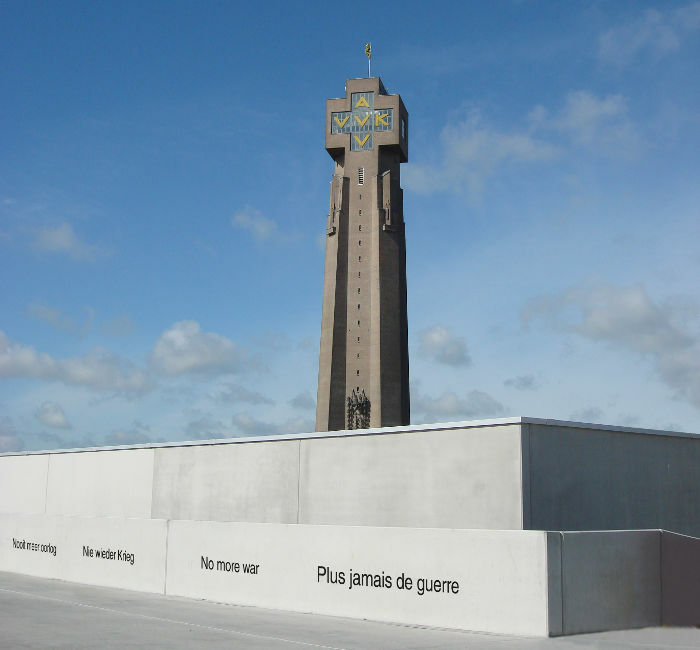 Bring a silent salute to those who really lost the war, at the countless small monuments or on the military cemeteries of Vladslo, Keiem, Ramskapelle, Sin-Joris, Steenkerke, Oeren, Koksijde and Houthulst. 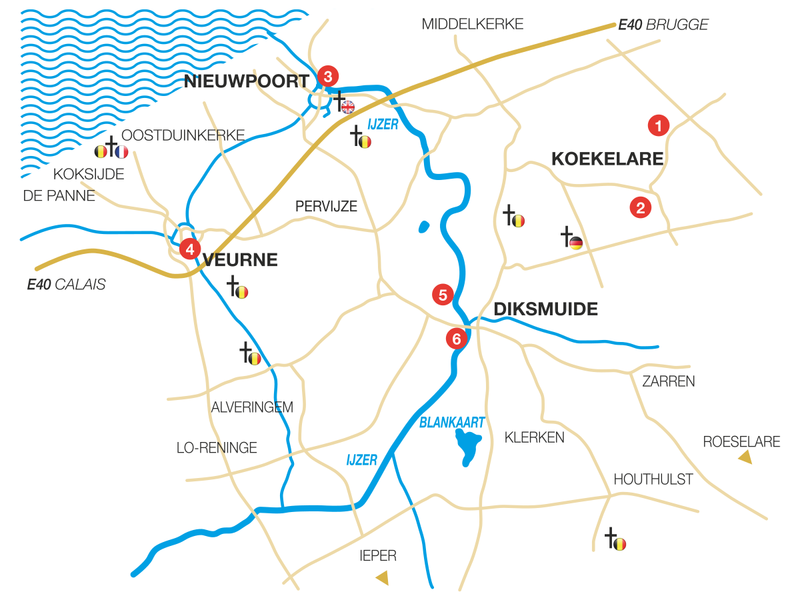 The car routes 'IJzerfront', 'Vrij Vaderland' and 'Niemandsland' bring you along all over the Yser Front and the surrounding area. Enjoy the region along the thematic cycle routes 'Cogge-Geeraert', 'Aller/Retour', 'Käthe Kollwitz', 'Nooit-meer-oorlog' (till semptember 2015) and 'IJzer-14-18'. (for sale in the tourism services and museums).